Roles: Music, sound design. 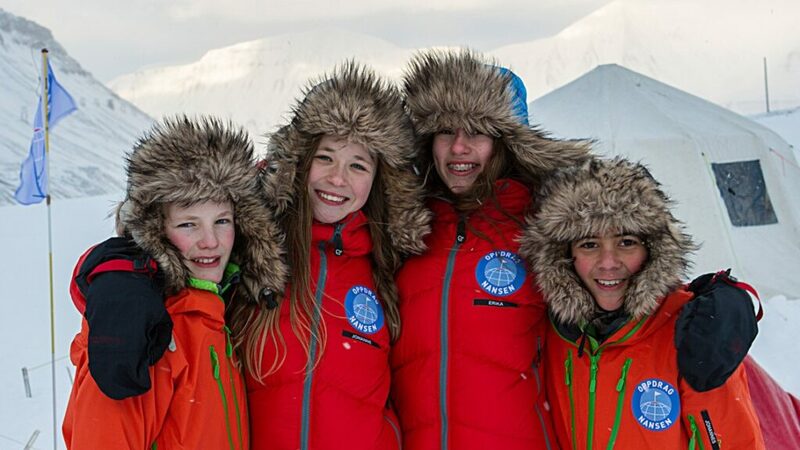 Oppdrag Nansen is an NRK documentary series about a team of teenagers travelling in the footsteps of Norwegian explorer Fridtjof Nansen, towards the North Pole. Their goal is to research and understand climate change in the fragile Arctic regions, and present their findings at the climate conference in Paris, 2015. This video reports on the making of the music. The overall score aims to be both vast and epic to cover the huge, cold landscapes of the north, but also cool, modern and playful, this is young kids going on a fun adventure. It references both the romantic nationalist music of the late 1800s, and modern technologic “sci-fi” sound. The score uses regular symphonic orchestra sounds, electronic synthesizer sounds and extensive digital beats, together with traditional Norwegian instruments like seljefløyte, langeleik and hardanger fiddle. The series premiered broadcasting on NRK spring season 2016.